Sale event meaningful and responsible. In order not to spoil this moment unpleasant surprises, it is better to consult specialists in the field of real estate, but you need to have information and carefully control the process. Become the owner of the property in several ways: to participate in the joint construction, to privatize property, to get an apartment as a gift or inherited, but the most common way is to buy an apartment. 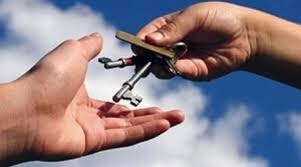 It is important to remember that the transfer by the seller to the purchaser of the documents to the apartment does not transfer legal ownership of it, as well as the power of attorney to act in relation to apartments is not a guarantee of acquisition of ownership of the property. The law stipulates that real estate transactions are in writing and are subject to mandatory state registration. Before buying an apartment it is important to see the entire package of documents on apartment. Should be requested to submit a certificate from the passport of family members, which will see the number of registered individuals who own and understand who was previously the owner of the apartment. Check the title and right supporting documents on the apartment including the contract of sale, donation, equity participation in the construction of, a warrant for the apartment, the documents on privatization of the apartment, the certificate of ownership. Extract from register of rights to real estate, will allow to exclude the existence of encumbrances. It is important to pay attention to the period of ownership by the seller of the property, if the period is less than three years, it would not hurt to check the documents on which the property was purchased. You need to find out information consisted of whether the seller is married at the time of purchase of the apartment and is married on the date of the transaction with real estate. If the marital status is confirmed, you must request a copy of the consent of the spouse on the purchase of the property and consent to the alienation of the apartment. Consent shall be in writing and shall be notarized. If at the time of the transaction with the apartment, it spelled minor children, you will have to obtain the consent of bodies of guardianship and guardianship. And preferably before signing the contract of sale and transfer of the money to make sure that underage children were discharged from the apartment and ordered at a different location. But it is not a mandatory requirement, but rather a measure of insurance. A careful study of the technical passports (old and the date of sale of the apartment), will reveal the presence or absence of the redevelopment. If the plan were carried out, one must explore the permits and approvals, including the redevelopment project. As illegal alterations may become a problem when selling the apartment in the future. Obtaining approval and permits for remodeling can cost up to 10% of the cost of the apartment. If the apartment is inherited, then you need to inspect the property claims of the relatives of the seller. Do not hesitate to request documents confirming absence of debts on municipal payments. All documents must be read in person, even if the transaction involves experts in the field of real estate. Specify in the contract the full cost of the apartment, to request the seller about the understatement of the contract price about carefully and with suspicion. It is important to remember that if there is a controversial issue in relation to the apartment, the amount you will be able to return, is the amount specified in the contract.